Poker and Daily Fantasy Sports are a lot more similar than a lot of people realize. If you like to play poker you will find that your poker experience and skill gives you a slight edge over the rest of the competition. Poker and Daily Fantasy Sports are a lot more similar than a lot of people realize. This is no secret to those poker players who have already experienced all the fun and excitement of Daily Fantasy Sports for themselves. If you like to play poker you will find that your poker experience and skill gives you a slight edge over the rest of the competition. Daily Fantasy Sports is a lot like regular fantasy sports in a lot of ways, although it is streamlined and you don’t manage a team over time. You just manage your team for one day actually, and each day is a new contest. 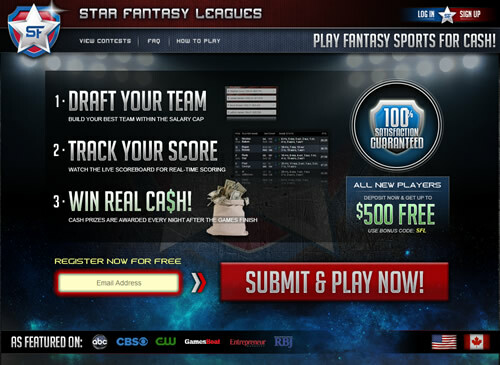 In Daily Fantasy Sports, as in with poker, you are competing against a select group of players. So just like there are different formats at the poker table, like a head to head match, a sit and go with 4 to 10 players, or a much larger multi table tournament, Daily Fantasy Sports matchups are structured this way as well, and in fact they got the idea for these types of games directly from the world of online poker tournaments. So like with poker, you get to choose to play heads up, at a short table, a regular table, or in a bigger multi table one so to speak. So this is something poker players are already pretty comfortable with and in particular know enough to pick the type of format that best suits both their preferences and talents, just like you would at the poker table. There’s also the aspect of bankroll management that we know is key to poker and it’s also as important in managing your Daily Fantasy Sports bankroll, to ensure that we select the appropriate bet sizes so to speak and generally manage our bankroll correctly, skills that the run of the mill Daily Fantasy Sports player will need to develop from trial and error, but we already get all this. With Daily Fantasy Sports it’s you against the other players in the contest and the best players are going to come out on top, those who have the most skill, and this is an even bigger game of skill than poker is, almost completely skill based in fact. This is what we really like about it as poker players. In fact, our skills at analyzing poker hands and other general poker skills will serve us very well at Daily Fantasy Sports. Just like novice poker players, Daily Fantasy Sports bettors without good poker experience will make their selections without putting a lot of thought into them, and may not even understand the kind of thought that goes behind all of this. Poker players, on the other hand, are experienced at analyzing these situations, and while they are a little different as far as the details go with this form of betting, the foundations behind them are pretty similar, in other words if you can think as a poker player you will have the ability to think well as a daily fantasy sports player. It’s also loads of fun, something that we like in our games, as poker is a fun game as well, but poker players who have tried Daily Fantasy Sports find this to be not only an easy transition but a blast as well. You can get started with play money like you would if you are new to poker, but of course, like poker, there’s nothing like real money on the line. You really do have an edge here as a poker player right out of the gate, but our biggest edge is probably our atitude to learn, as this is how we developed as poker players, always looking to learn, and this ability will serve you very well as you further develop your Daily Fantasy Sports skills. More and more poker players every day are getting turned on to this form of betting, and are coming to love this new way to play and are doing pretty well indeed at it. So check it out right now and get started in on the most exciting thing on the internet since online poker.